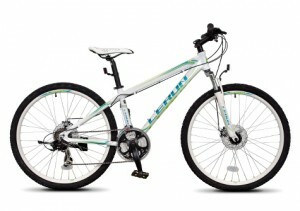 LeRun began its operations back in the 1970s, pioneering the manufacturing of mountain bikes for the local market. LeRun’s ‘claim to fame’ is the Skatebike – the one-wheel unicycle which was launched back in the late 80s. The introduction of the Skatebike created a cult following amongst youngsters and henceforth catapulted the LeRun Unicycle up to the top of every kid’s wish list. Since then,the LeRun brand has become a household name. Headquartered at Puchong, Selangor, the LeRun head office controls all distribution and sales operations for its diverse portfolio of bicycles. 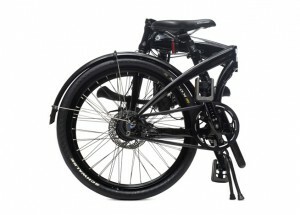 The product range that is offered includes MTB, BMX, Tandem Bike, Folding Bike, City Bike and Racing Bikes with wheel sizes ranging from 16 inches to 26 inches, which are marketed under the popular “LeRun “ and ”Polygon” brands. As the market leader in the Malaysian bicycle industry, LeRun Industries Sdn Bhd’s wide distribution network include wholesalers, dealers, retailers and its own retailing outlets – Rodalink chain stores. Besides implementing an aggressive marketing strategy for the company’s products in the domestic market, LeRun also supplies bicycles to other international markets such as Europe, Japan and Australia through an associate company. With a strong focus on continuous improvement intechnology advancement and quality, the company continues to constantly explore more opportunities to penetrate other markets. Bicycles distributed by LeRun are known for their performance, comfort & durability with a 5-year warranty for all products across the board. The company’s commitment to cutting edge technology is recognized by established international standards such as the British Standard and Japan’s JIS Standard. Over the years, LeRun has maintained their leadership position by continuously improving on the style, look and feel of their bicycles. Investing extensively in research and development, the company introduces a range of new models each year to keep up with time.